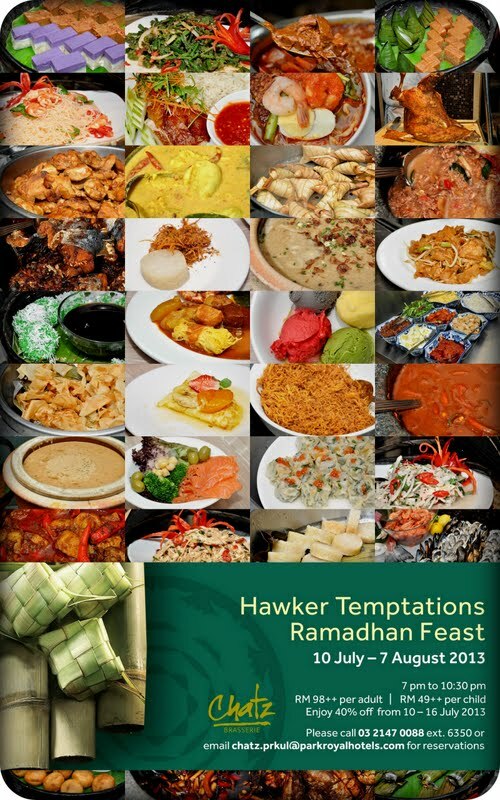 Chatz Brasserie, PARKROYAL Kuala Lumpur: Hawker Temptations Ramadhan Feast! Gosh, has it been a year already since my last Ramadhan expedition? Where has time flown? 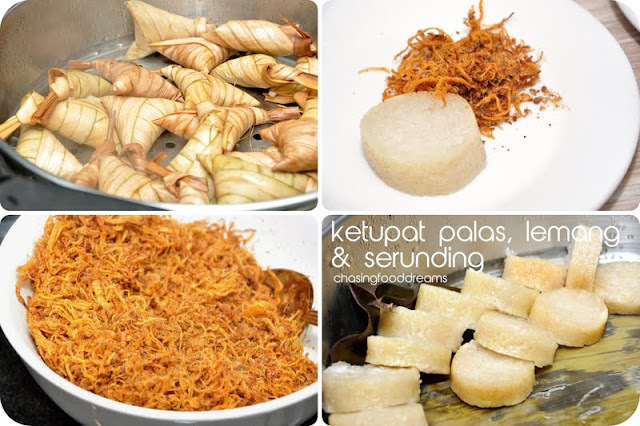 This year, I am back with more delicious feasts for foodies who love a spread of traditional Malay and international cuisines all at one dining spot! Kicking off the Ramadhan list is my stop at Chatz Brasserie at PARKROYAL Kuala Lumpur! The talented chefs at Chatz Brasserie are whipping up a hawker temptation galore for their Ramadhan feast this year. Savor a spread of perennial hawker dishes prepared a-la minute by their chefs or walk through the buffet line of various dishes from carving station, grill, hot authentic Malay dishes, seafood on ice, salad, desserts and more. I am a very orderly person, my next would have to be the salad bar. 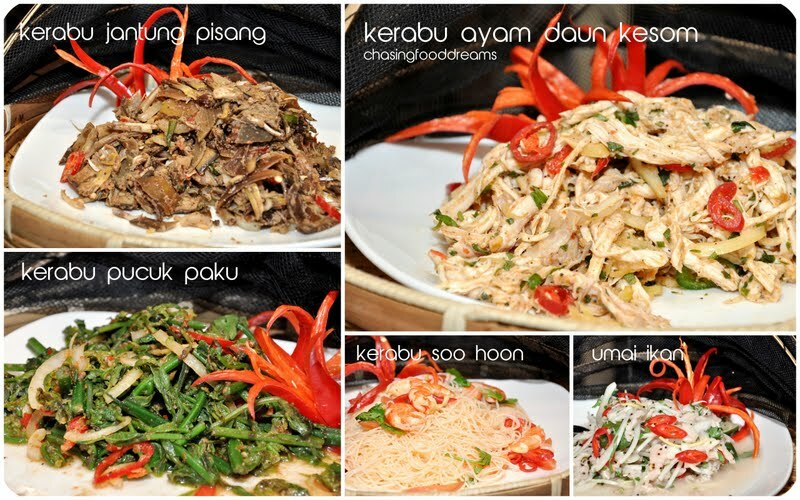 For this feast, there are plenty of mouth-watering kerabus to tempt your taste bud. Savor Nasi Kerabu, Kerabu Pucuk Paku, Umai Ikan, Kerabu Soo Hoon Berudang, Kerabu Perut, Kerabu Ayam Daum Keson, Kerabu Jantung Pisang, Ulam-ulam Mentah dan Rebus and more. There is also the classic Pasembor Berlauk with Peanut Gravy besides the usual spread of western salad bar. I adored the Umai Ikan and Nasi Kerabu here for their flavours. 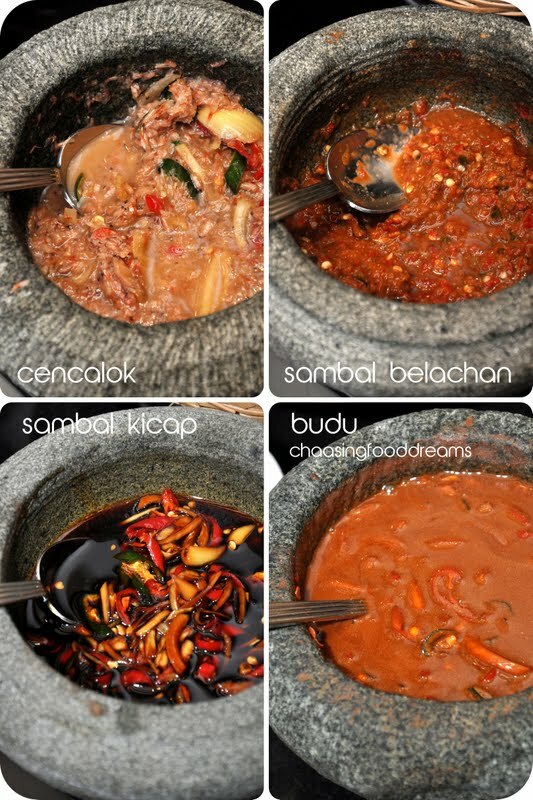 Savor the crunchy raw Ulam-ulam Mentah dan Rebus with the usual must-have sambals… Sambal Belachan, Sambal Mangga, Sambal Kelapa, Sambal Tomato, Cincalok, Budu and Sambal Kicap. If this doesn’t wake up your senses, I don’t know what will… wink! 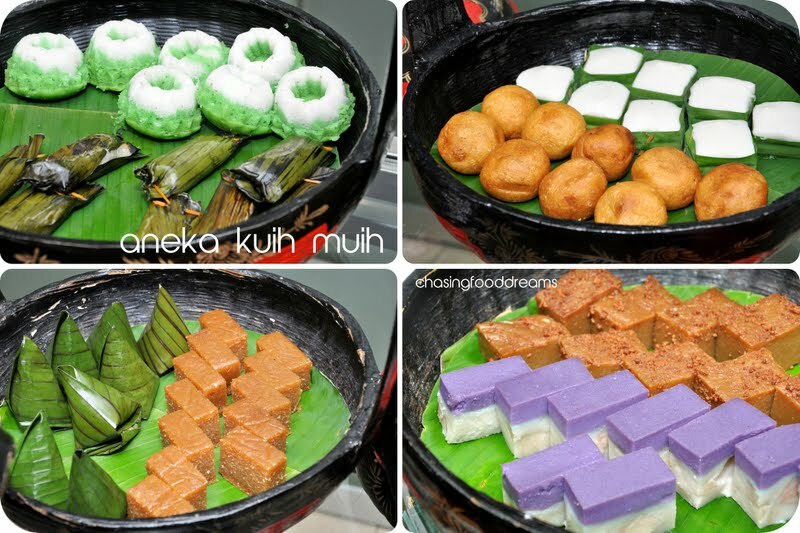 Main hot buffets showcase authentic Malay dishes like Ayam Percik Iftar, Udang Galad Goreng Mamak, Gulai Lemak Telur Itik, Kurma Kerbau, Ikan Duri Berlada, Pajeri Nenas and more. The Gulai Lemak Telur Itik is fabulous… creamy and fragrant with a light hint of spices saucing up poached duck eggs simply begs for some rice. Ayam Percik Iftar is delicious with a nice nutty and spicy aroma and flavor while the Kurma Kerabu is pretty unique with a good dose of spices. Don’t forget to taste the Pajeri Nenas, piquant and spicy blending in with the tangy pineapples cooked till soft. There is also the Bubur Lambuk, a comforting dish that is a great way to warm up the tummy after a day of fasting. The star of every Ramadhan feast is always a glorious lamb! Chatz Brasserie is featuring a whole BBQ Lamb marinated in spices and serve with black pepper, mushroom or mint sauce. Indulge in a few slices of meaty lamb, fairly moist and aromatized with lots of herbs and spices. Moving to the hawker stations, there are plenty of choices from Roti Canai,Murtabak, Roti Jala to be savor with Chicken Curry, Dalcha and Serawa Durian, to Char Koay Teow, Ikan Bakar & Cockles, Prawn Mee, Curry Laksa, Chicken Rice, Oyster Omelette and Dim Sum. Desserts are plenty and saving room for them is a must! 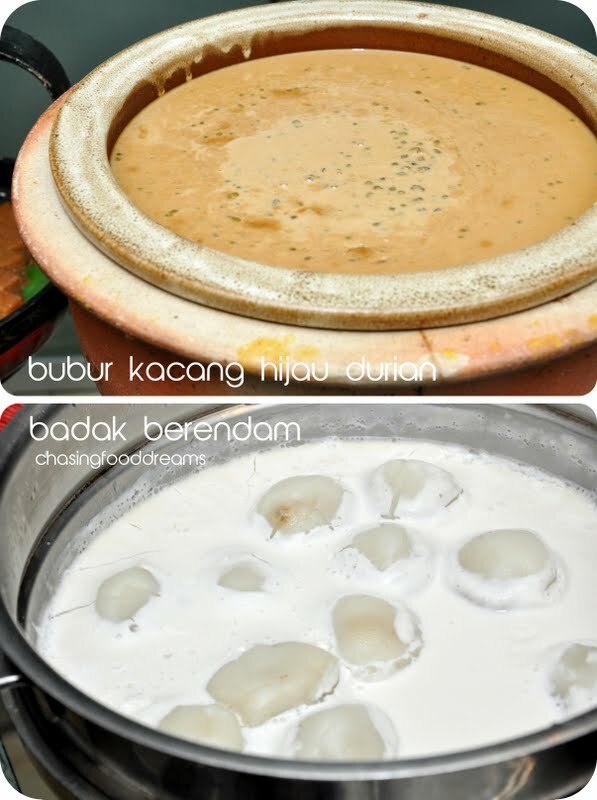 There is a special Ramadhan sweet gruel that my other foodies raved about on Bubur Kacang Hijau Durian. I will have to take their word for this since durian is my nemesis. But one thing’s for sure, that sweet gruel is definitely kick up with a pungent aroma of durian. A big spread of Aneka Kuih Muih features Kuih Lopes, Puteri Mandi, Lepat Ubi, Ondeh Ondeh, Kuih Talam Keladi, Puteri Ayu, Bingka Ubi, Lepat Pisang, Kuih Tako, Kuih Karas, Badak Berendam and more rotated on daily basis. There is even a special beverage of Chatz Air Janda Pulang of Fresh Coconut Water with Palm Sugar Syrup to quench your thirst. We also have the usual Ais Kacang and if there is one dessert to indulge, it is simply their selection of premium ice creams from various premium brands like Haagen Daz and more. My four scoops of Black Sesame, Green Tea, Mango and Raspberry was heavenly!! The Hawker Temptation Feast has more than what is previewed above. With four menus on rotation daily, ‘Hawker Temptations Ramadhan Feast’ at Chatz Brasserie is available from 10 July until 7 August, from 7pm to 10:30pm daily. The buffet is priced at RM98++ per adult and Rm49++ per child. Break fast with Chatz Brasserie from 10 to 16 July and you are specially entitled to enjoy 40% off. Thanks to Manoah Consulting and Samsung, bloggers are given a great bonding session with Samsung! Just recently, invited bloggers congregated at The Pool in Jalan Ampang one evening for the Samsung ‘Get-To-Know’ Bloggers Engagement Gathering. Despite it being a Friday, traffic was surprisingly pretty ok. Arriving on time, I was greeted by the signature blue and white Samsung themed décor. Upon entering, we were tagged with a lovely Samsung wrist band that is actually a thumb drive. Samsung also presented us with a mini speaker and cookies… kudos for the thoughtful touches from Samsung! The whole place was decked out in blue and white with lots of balloons, ornaments, oil lamps and steamers. Gorgeously inviting and music sets the mood for a lovely party to come. There was a photo booth at the entrance and so, instead of being behind the lens, I took some time in front of it! Options to chill out al fresco or simply hide out in the air-condition room had many of us well spread out while waiting for evening to kick off! The goal of the event was really a great casual meet-up between bloggers and Samsung brand managers. Everyone is given a great event to connect for future prospects and networking. We also had a great time catching up with every blogger and also to meet some new ones! The evening started with a speech by Donovan from Manoah Consulting. Samsung Brand Managers and Samsung Management took stage after being introduced. This was followed by a short presentation of Samsung technology and even a video. You simply must check out the video!! We then adjourned for some chows and liquids. During this time, we were all encouraged to check out the Samsung's TecTiles application, which uses Samsung's NFC (Near Field Communication) technology. Simply turn on the NFC app and tap against the circle to see the message. At the end of the night, there will be winners for those who were able to answer some questions on this app. The night continues on and everyone grouped together for more networking. Unfortunately for me, I had a last minute work meeting and so I had to leave early that evening. Still, it was a great prospect to be able to meet the Samsung group and a big thanks to Manoah Consulting and Samsung for making this happen!